Quick Tip Tuesday: Shower Crayon Learning! Quick Tip Tuesday: One Weird thing! Wow, what an intense emotion – I’m so sorry you went through this. I’ve never heard of D-MER; thank you for educating us readers! I was just talking to my friend with a 2mo that is supplementing with formula already because she can’t make enough milk (despite a LOT of pumping), and she feels SUCH guilt! She told me she thought no one supplements and she felt like a failure. I told her most people supplement at some point and to NOT feel guilty. The mommy shame is real! So sad. But she is over it now. I’m glad you are, too. Every mom knows their own body and their own baby next. No one should ever judge! Thanks so much for sharing. That sounds really tough. I can’t imagine that on top of just the pure exhaustion and new babies worries that come our way. Thanks for being open and sharing your story. Wow I’ve never heard of this. There needs to be more awareness that this exists! I wonder how many mothers have this and have just thought it was post natal depression or been shrugged off. Thanks for writing about it! Even though my child bearing days are over (I think) it’s still good to be made aware of these unknown conditions for friends of mine that are just starting to have kids. DMER is such a crazy experience that some women body does, and thanks for sharing your story. There aren’t many out there, and I know many women feel lost and confused while experiencing these feelings. 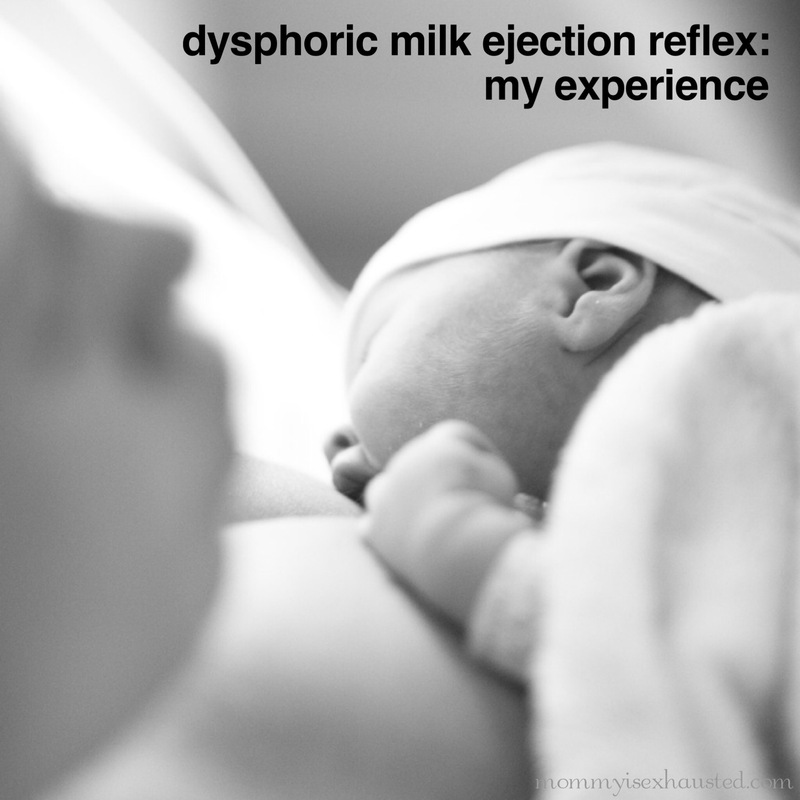 I struggle a lot with nursing aversions with my second pregnancy, as a result of my PPD/A and its good to find resources that remind us we aren’t the only ones feeling a little put back by breastfeeding at times. How interesting! I’ve heard the term D-Mer but never really understood it. Thanks for explaining it so well. What an awful feeling it must have been for you. I always tell new Moms that Fed is best. Breastfeeding doesn’t always work for Mom or baby or both. I’m glad you figured out what it was! Wow I’ve never heard of this condition before. It’ sounds really horrible. It’s amazing what motherhood does to us and all the emotions it puts us through. You sound like a really strong and loving momma. Thanks for sharing this!